Intensive legal due diligence exercise and corporate arrangement for an investment by the Malaysian Ministry of Finance’s investment arm in aspiring small and medium enterprises. Acquisition of a public listed company subsidiary through complex asset transfer and debt restructuring programme for a total value of RM500 million. Acquisition of a strategic stake in a Malaysian solar and renewable energy company involved in multiple 5MWac and 30 MWac solar projects valued at approximately RM150 million by a private company involved in the area of renewable energy. Acquisition of a 50% stake in a pharmaceutical trading company for RM3 million by a local investment holding company. Advised on a proposed collaboration between a private company and an energy storage developer for the purpose of research and development of energy storage solutions. Represented high net worth individuals’ bespoke investment solutions in aspiring companies and small and medium enterprises through the issuance of stocks and creation of valuable security, with advance tax planning solutions. Advised a private company on a commercial agreement with a multinational company and a separate agreement with the Government of Malaysia in relation to the supply of an advanced search and rescue satellite based system. Alienation and acquisition of several plots of lands owned by the Government of Malaysia worth approximately RM200 million. Acted as the instructing solicitor in setting-up businesses for Malaysian companies in various foreign jurisdictions. 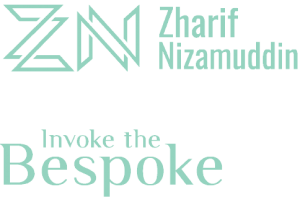 Advised on the set-up of a complete human capital management and governance policy for a private company with a total workforce of approximately 300 staff locally and internationally, and an annual turnover of more than RM100 million. Advised a private company on the proposed restructuring of its group of companies by way of an asset transfer deal and its impact to the employees. Prepared a preliminary governance and framework for admission of an international sports federation as a member of the Global Association of International Sports Federations (SportAccord). Advised the Football Association of Malaysia on the privatisation of the Malaysia Football League, including the creation of its legal and governance structure; and its contractual arrangement for media, broadcasting and commercial rights worth RM1.26 billion. Represented various domestic Malaysian Super League Football teams in FIFA’s Dispute Resolution Chamber. Advised a state-linked company in respect of its sponsorship of a Malaysian Super League Football team.